We offer competitive, industry quality Recording, Mixing, and Mastering, using all top of the line hardware, and the latest plugins, running Pro Tools HD, with gear such as LA-2A, Tube Tech CL-1B, GML 8900, API 512c, HA 1073, Shadow Hills Mono Optograph, Vintech Audio X73, Neve Portico II MBP, Great River EQ-2NV, Distressor, Avalon, and a long list of plugins. A: I loved working on the record with Tedashii called "Be Me" because it was just so much fun to experiment with different mics and preamps, and different mixing techniques. A: I am working on a project for the biggest Electronic independent label in the USA. Mixing and mastering. A: No, I don't know anybody on SoundBetter. A: I prefer analog with a touch of digital, because sometimes you just can't get that big analog sound using just plugins. A: I promise that I will do everything I can to deliver the best possible sounding record I can. A: I love dealing with new songs or projects, and the process of hearing them go from raw recordings to finished product, and see the smile on the clients face. A: Most customers ask how much to mix and master a song, and I tell them, every song is completely different. There is a lot that factors into the time it may take to mix, like recording quality, track count, vocal editing, expectations, etc. A: People think that they can record in any environment, with any mic, and that we can magically fix it and make it sound industry quality with a good mix, which is not true at all. A: Before mixing, I ask, how many tracks are in the session. Is the beat tracked out, or just a stereo mp3 or wav? Is there any pitch correction needed, or detailed vocal editing. What is a good industry reference track that we can compare it too? A: My advice is know what direction you want to go in, so many artists don't have a plan or idea of what they want to do, so its hard to meet their needs, and also meet the standards that we like to meet. A: Probably a U87, a 1073, a Neve MBP, Distressor, and LA2A, but that is a tough question, because there is so much I would want to take. A: I have been engineering and producing for about 16 years now, I really love the art of mixing and mastering. A: I don't really have a set style, I go with the flow of the song, and base my decisions on how the feel of the song is. A: I would love to work with a variety of artists, from Kendrick Lamar, to Arctic Monkeys, I love artists that bring great music, as well as production value in their music. A: Take the time to get it right, don't settle for "quick, need this done right now" attitude. A: We work on a lot of Hip Hop and R&B, Pop and Dance, and Pop Rock. A: Our strongest skill is mixing, that is where we can be most creative and really show our talents! A: We bring not only our professional knowledge, but also a lot of creativity, to take a song to that next level, whether it means arrangement, or effects, or adding instrumentation. A: We work around our clients budget and needs, but we prefer the saying of "quality over quantity", we want to give you the best sounding song we can, and we like to try new ideas and tricks to get the amazing sound you are looking for. A: Our studio is equipped with a very state of the art control room properly acoustically treated to get a great sound, a large live room, and 2 iso booths in the main studio A. 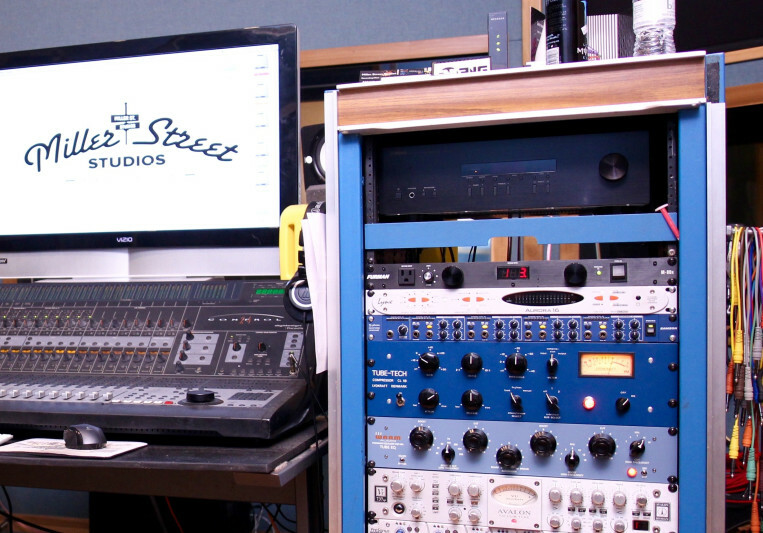 Studio B is a production studio, along with a vocal booth, for laying down just vocals. A: Mostly Mixing and Mastering, but also Recording for clients that are located in the Midwest. Get one free master when you purchase your first mix!